AGONAsport looks at the recent resurgence of Greek sport, and how well some of our athletes have persevered through the economic crisis. 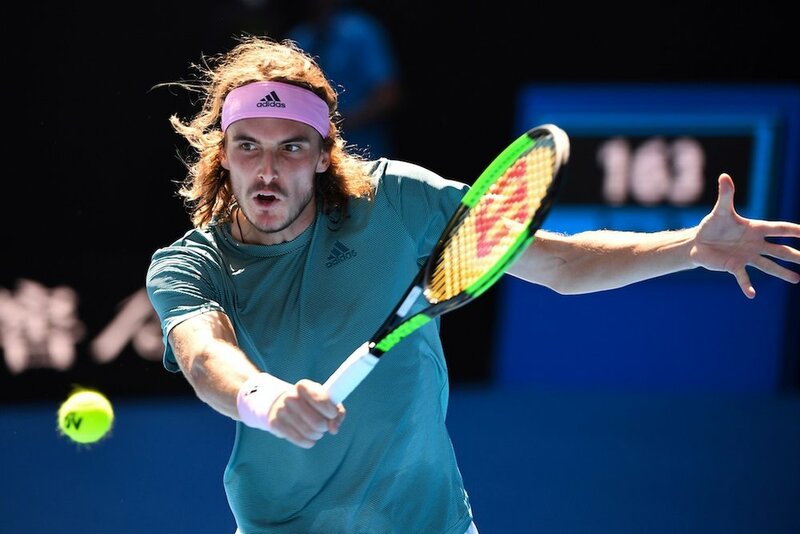 With wins in the past six months over the likes of Roger Federer and Novak Djokovic, Stefanos Tsitsipas has quickly become a tennis superstar. Being ranked in the 80s a year ago, the 20-year-old Greek is now ranked 12 in the world fresh off an Australian Open semifinal appearance. Perhaps the most impressive thing about his rise is not only that he is competing in a sport where Greece has little history, but also that tennis is a very expensive sport. Given the economic crisis in Greece the past decade or so, one would think it would be incredibly difficult for a Greek athlete to succeed in a sport like tennis. Nevertheless, Tsitsipas has shown that anything is possible through hard work and dedication. Giannis Antetokounmpo is another name that stands out. Born and raised in Athens to poor Nigerian immigrant parents, it once may have seemed unlikely that Antetokounmpo would become world-famous. However, the “Greek Freak” quickly became noticed and was drafted by the Milwaukee Bucks as the 15th pick in the NBA Draft. After consistently improving year after year, Antetokounmpo is now a contender for NBA MVP and will be a captain at the upcoming NBA All-Star Game. Shooter Anna Korakaki, at just 22, has a resume that many older athletes wish they had half of. She won two medals (gold and bronze) at the 2016 Olympics. In 2018, she won a World Championship gold medal in the 10 m air pistol, an event in which she is ranked number one in the world. She was also ranked number one in the world in the 25 m pistol last year, though she is currently ranked sixth. Given that shooting is a sport where athletes often compete well into their 40s and even 50s, it seems that the best is yet to come for Korakaki. Despite training in less than ideal conditions, she has surpassed numerous older shooters from richer countries with better facilities, and she is showing no signs of stopping anytime soon. Gymnast Eleftherios Petrounias has established himself as one of the big names in the sport over the past few years. In fact, he has won gold in the men’s rings at every major competition (Olympics, World Championships, European Championships) from 2015 on. He has absolutely dominated the event, which is especially impressive given the fact that he temporarily quit the sport for three years and came during at the beginning of Greece’s economic crisis. Similarly, pole vaulter Ekaterini Stefanidi has also dominated her event over the past few years. Over the past three years, she has won an Olympic gold, a World Championship gold, two European Championship golds, a European Indoor Championship gold, and two World Indoor Championship bronzes. She also won the Diamond League in 2016, 2017, and 2018. She has lived in the United States since moving there in 2008 to study at Stanford University, and her success during the economic crisis has led many other Greek athletes to move abroad to pursue their dreams. Eleni Chatziliadou, who competes in karate, struggled so much during the economic crisis that she moved to Germany for an extended period of time to find work. Eventually, she was able to move back to Greece. With karate being added to the Olympics for the first time in 2020, she has a good chance to win Greece’s first Olympic medal in the sport. Competing in the +68 kg event, she has already won three World Championship medals in her career, including a gold at the 2018 World Championships. She is currently ranked number two in the world in that event. A close personal friend of Tsitsipas, pole vaulter Emmanouil Karalis is also one of the most exciting young talents in Greek sports. Born in Athens to a Greek father and a Ugandan mother, the now 19-year-old has already accomplished a lot. He burst onto the scene in 2015, winning bronze at the World U18 Championships at the age of 15. The following year, at 16, he won gold at the European U18 Championships and finished fourth at the World U20 Championships. Unfortunately for him, he has struggled with injury since then. However, he did finish fifth at the 2018 World Indoor Championships at 18 before missing the rest of the year due to injury. Despite that, he has clearly shown his promise having held the world records at both the U18 and U20 levels, and will have a big future ahead of him as long as he can stay healthy. Of course, these are not the only Greek athletes that have succeeded in recent years. Cyclist Christos Volikakis is ranked in the world’s top 3 for three different events. Triple jumper Paraskevi Papachristou and long jumper Miltiadis Tentoglou were each crowned European champion last year. High jumper Antonios Merlos won gold at the World U20 Championships last year. Swimmers Apostolos Christou and Kristian Gkolomeev won medals at the European Championships last year, as did track and field sprinter Maria Belibasaki, pole vaulter Nikoleta Kyriakopoulou, and triple jumper Dimitrios Tsiamis.